The ongoing CBC Hamilton series asks good questions: who are we, and what do we want to become? Hamilton is clearly changing as a result of a convergence of forces – some planned; some unforeseen; some local; some global. But we would suggest that as much as the ‘old Hamilton’ is being replaced by the new, in some cases transformation happens when you build on your strengths, innovate and evolve. Hamilton has always been a place for making things, and industry continues to be among the most productive segments of our economy. Plenty of people still bring home a paycheque from this work, including 41,000 in manufacturing, 21,000 in construction, 15,000 in transportation/warehousing and 4,000 in primary industries like agriculture and aggregates. The economic spin-offs are higher from these sectors, and jobs tend to be well-paying and full-time, compared to jobs in the service sector, for example. This is true for the 2,100 jobs at the Port, which pay 20% better than the Ontario average. ArcelorMittal Dofasco, for example, has transitioned over time into one of the world’s most efficient and technology-driven steel companies. 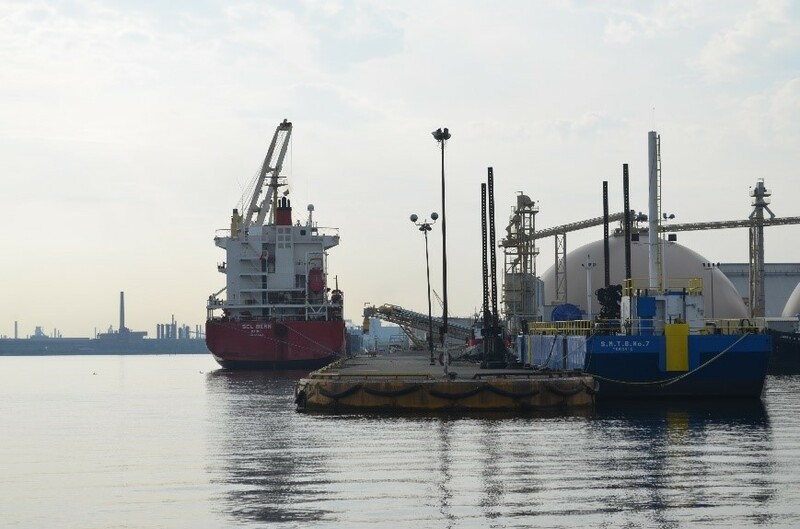 And the Port of Hamilton has evolved and diversified into the largest port in Ontario, and the province’s most important export gateway for Ontario-grown grain. Far from seeing a decline, more than $300 million in new investment has come to the port lands in the past eight years. The port’s 630 acres is virtually sold out, and we are taking steps to reconfigure spaces to increase the productive capacity and employment density, while we look for new industrial lands on which to expand. What do we mean when we say industrial? New industries look and operate very differently than those that dominated Hamilton’s economy and skyline 100, 50, or even 25 years ago. New developments are cleaner, tidier-looking and meet higher environmental standards than those built in years past. The new, $50 million G3 Canada Ltd. grain export terminal which opened this year at the port’s Pier 26 is a good example. The shiny steel silos are designed to be clean and efficient, and the company invested millions of dollars in the industry’s best dust management system. It also has no smokestack. Most port facilities don’t. That’s because the port’s role as a multimodal hub is somewhat different from other industrial areas. The port represents the first step in supply chains that support employment activity in Hamilton and beyond. The raw materials that enter via port terminals fan out across Ontario to feed manufacturing, automotive, food processing and construction. Exporters rely on the port to connect them with customers around the world. G3’s facility in Hamilton is linked to one of the most important and growing economic sectors in Ontario: agri-food. The port now has as many as 14 tenant companies involved in the agri-food sector. We have demand from others to locate nearby, if we can find the space to accommodate them, alongside the transportation infrastructure they require. We often hear from our neighbours and stakeholders that Hamilton should continue to embrace industrial employment opportunities in sectors like manufacturing, agri-food and food processing, as long as that industry is modern and sustainable. This is a vision we share. The City of Hamilton is working on a Bayfront Industrial Strategy which maps out the future of the north Hamilton industrial area, including the central-east waterfront. This Strategy proposes to maintain this area as employment land, and we agree this is critically important. Hamilton’s tax base is troublingly lopsided, putting increasing and unsustainable pressure on residential taxpayers. We must preserve industrial-multimodal space for future growth and employment. We should be repurposing old industrial brownfields for new industries, rather than turning to far-flung greenfields. Condominiums are great, but once the space to make things is gone, it is gone for good, along with the economic opportunities. Hamilton’s economy and character are indeed changing, including the west harbour, which has transitioned from a working port to a space for people to live and play. The Port Authority has been an active partner in facilitating some of this transition; most recently by terminating our lease on Piers 7 and 8 to allow the redevelopment of this area to proceed. We recognize that there must be attention to the spaces where the port lands and neighbourhoods intersect. This is why we are looking for ways to ‘green the edges’ of the port lands; undertaking landscaping projects and supporting initiatives like the new mural at the Collective Arts brewery. We also know that in order for residents to embrace the unique character of their port city, they need to be able to see and connect with it first-hand. This is why we are building a new lookout platform at Pier 15 that will give residents a window on the day-to-day activities of a busy port. We are also working with the Beach Canal Lighthouse Group to develop a plan to restore the historic lighthouse, and incorporate it into a welcoming outdoor people place at the doorstep to Hamilton Harbour. We believe it is entirely possible for thriving neighbourhoods to exist side-by-side with a working port. Hamilton is not unique in this respect. Many of the world’s most beautiful, interesting and economically successful cities happen to be port cities. The old vs. new narrative is appealing, and true to a large degree, but there is clearly nuance. Today’s homegrown successes have persisted and flourished through challenging times because of their resilience, and their ability to adapt and innovate. What could be more Hamilton than that?